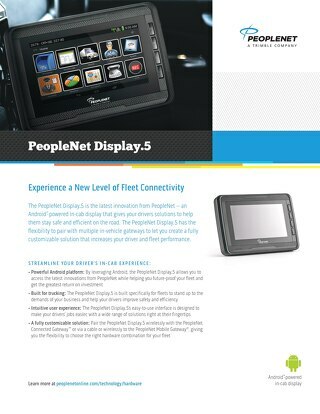 The PeopleNet Display.5 is the latest innovation from PeopleNet – an Android™-powered in-cab display that gives your drivers solutions to help them stay safe and efficient on the road. 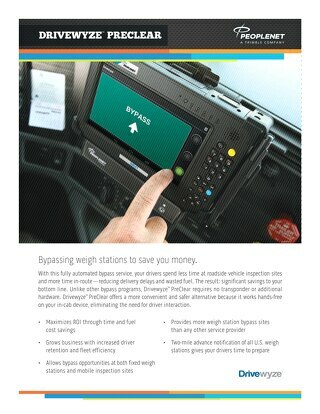 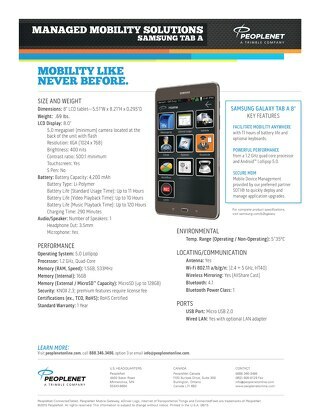 The PeopleNet ConnectedTablet™ is designed to operate both within the typical in-cab environment and outside the cab as a ruggedized mobile computer. 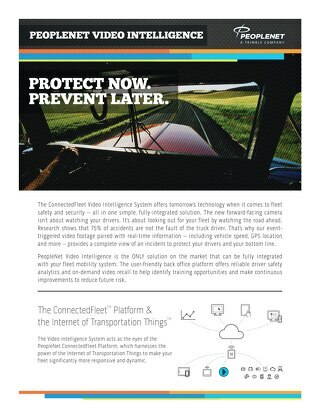 Leverage the power of the Internet of Transportation Things and improve your fleet's responsiveness and dynamic capabilities. 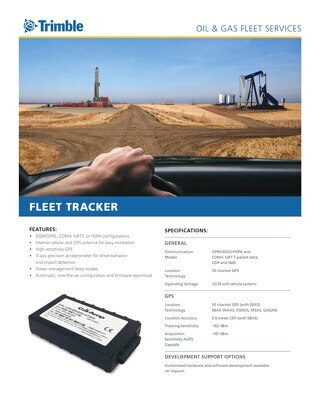 Comprehensive, real-time vehicle health and safety information and fault guidance. 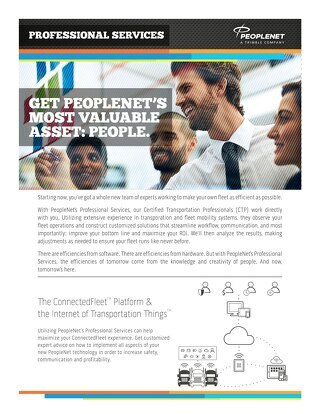 A deeper look into the Professional Services offering at PeopleNet. 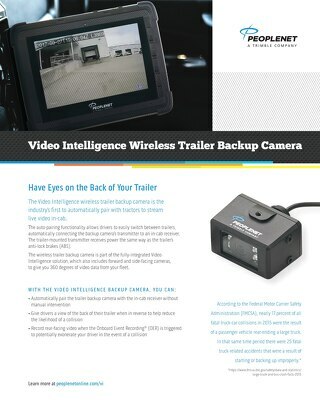 Understanding the innovative Wireless Trailer Backup Camera as a part of the Video Intelligence product offering. 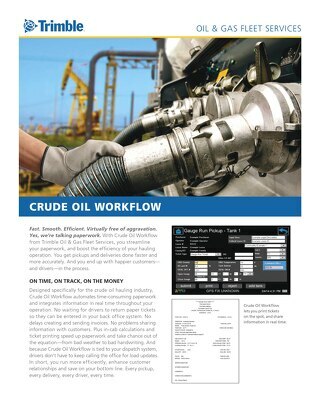 Designated specifically for the crude oil hauling industry, Crude Oil Workflow automates time-consuming paperwork and integrates information in real time throughout your operation. 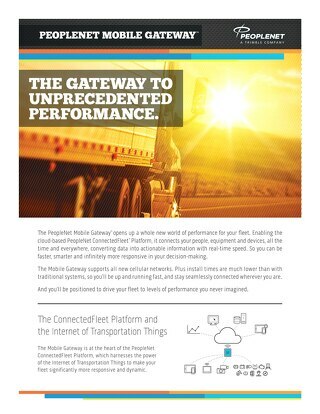 Leverage the power of the Internet of Transportation Things to make your fleet more responsive and dynamic. 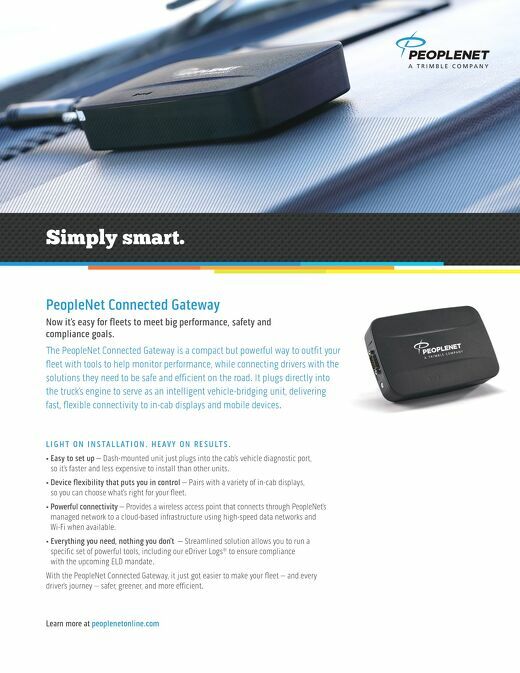 Connects people, equipment and devices at the same time and everywhere. 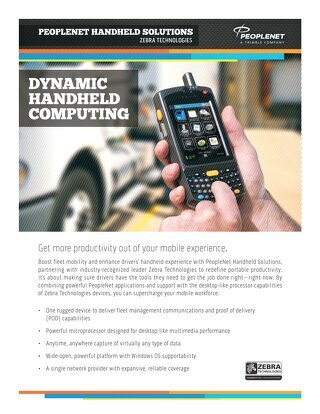 Combining powerful PeopleNet applications and support with the desktop-like processor capabilities of Zebra Technologies devices, you can supercharge your mobile workforce. 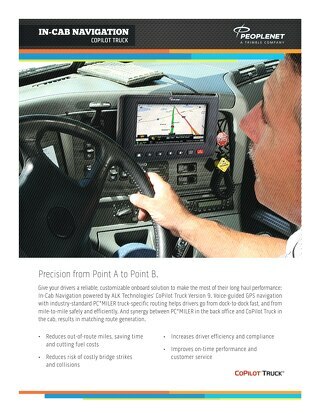 Give your drivers a reliable, cutomizable onboard solution to make the most of their long haul performance. 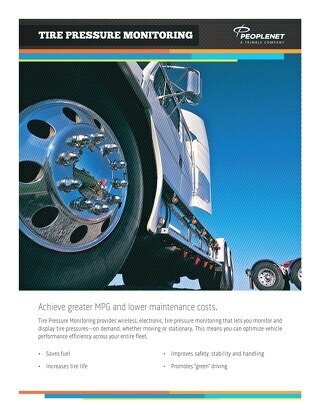 A fully-automated bypass service that enables drivers less time at roadside vehicle inspection sites and more time in-route. 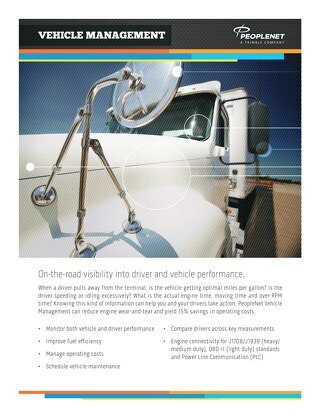 On-the-road visibility into driver and vehicle performance. 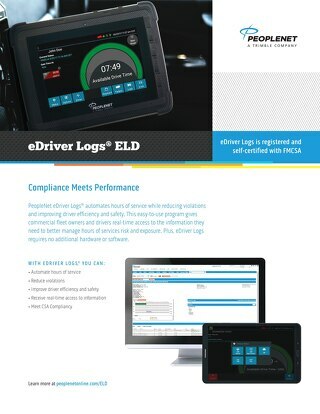 PeopleNet eDriver Logs® automates hours of service while reducing violations and improving driver efficiency and safety. 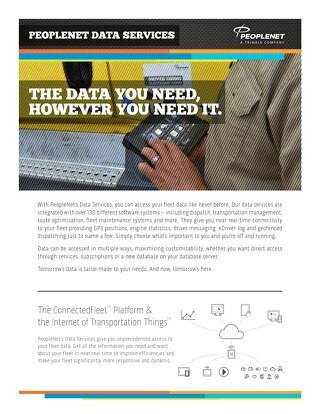 Data services that are integrated with over 130 different software systems - including dispatch, transportation management, route optimizations, fleet maintenance systems and more. 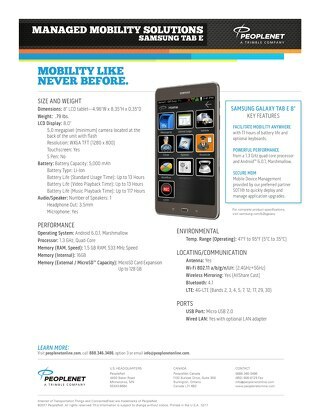 Providing wireless and electronic tire pressure monitoring that lets you view tire pressure on demand whether in motion or stationary. 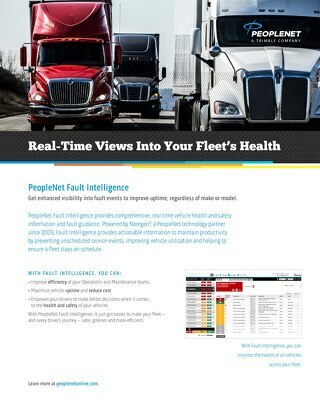 Merging everything for your fleet - from devices, applications, security, to rate plans/networks and support; giving you the peace of mind that your proprietary information is secure.